Messenger Lite has just appeared on Google Play, and we've duly got the APK for you to install, via APK Mirror. Have fun! Facebook Lite was released early last year, and it's pretty good - it takes up less space than the regular Facebook app and consumes much less data. As a follow-up, Messenger Lite is now available, meaning phones in countries where data is thin on the ground and people with small amounts of storage can use Messenger as well. Of course, using Messenger Lite doesn't stop anyone from messaging friends - it's completely inter-operable with the regular version of Messenger. A lot of emerging markets use WhatsApp, which takes very little data and is a smaller app than Messenger, but this is a good thing to happen. It gives WhatsApp some competition there, albeit within Facebook as the internet giant operates both, and gives consumers other options if they want to message someone who isn't on WhatsApp. The Lite app comes in at 10MB and includes all the core Messenger features - text, photo and video messaging are all there, as are stickers. For the icon, the colors of the normal Messenger logo have been reversed - it's a blue bolt on a white background (same as Facebook Lite). The obvious play here is to get more people on the Messenger platform, but it's good to see Facebook trying to get the countries with older technology online. 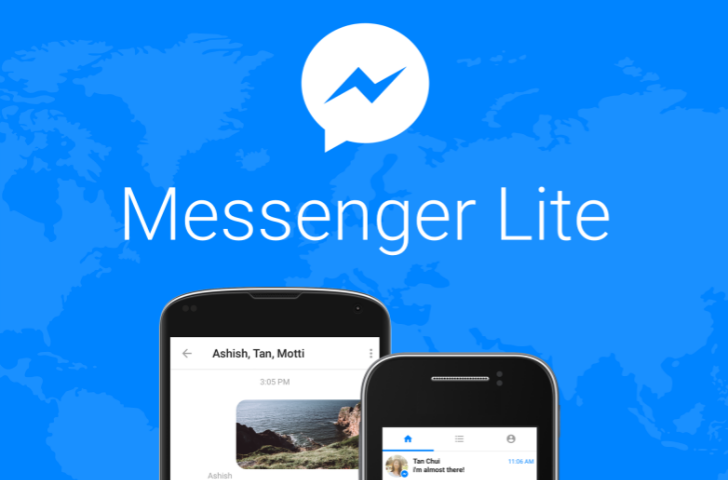 Messenger Lite is rolling out gradually to Kenya, Tunisia, Malaysia, Sri Lanka, and Venezuela starting from today. Like Facebook Lite this probably won't be available widely on Google Play, but it should be installable via sideload, if you can find the APK. It doesn't appear to be on the Play Store yet, but when it is we'll let you know.